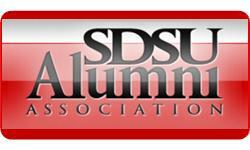 Alumni affinity groups are open to all SDSU alumni and supporters. There is no payment required to join an affinity group.The Alumni Association Affinity Groups provide the widest array of opportunities for alumni to connect to SDSU through communities with which they most strongly identify. The Affinity Groups are organized for alumni based on professional, regional, cultural, or special interest groups. Join an Affinity Group Today!